Debate Reaction is a FOX special short that first aired on October 5, 2012. 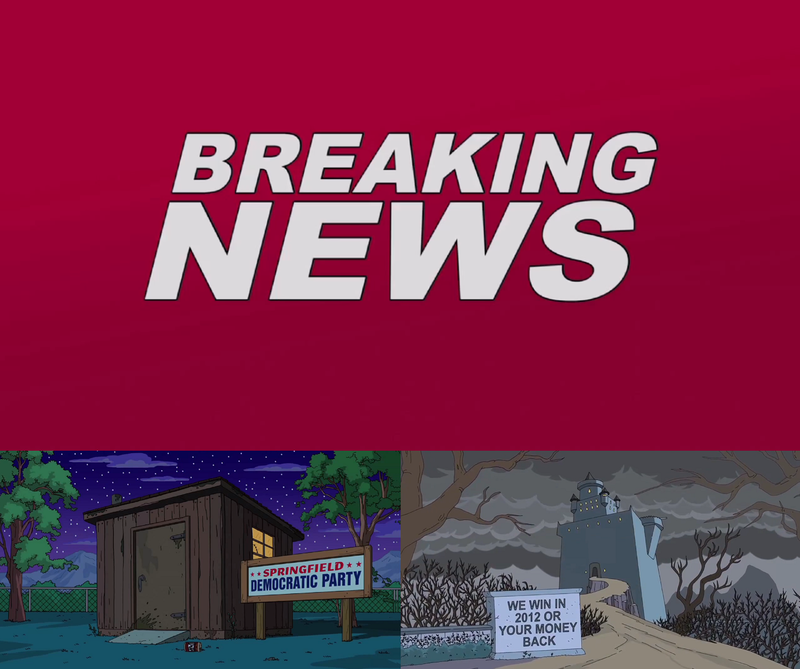 A news reporter announces breaking news about the 2012 presidential election in the USA. He reveals how the election is going in Springfield's Republican Party and Democratic Party's headquarters'. Modified on June 16, 2017, at 16:48.